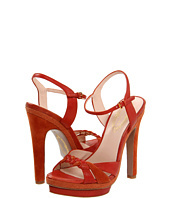 After Lauren Conrad wrote on her site here, I have been on the search for a cute pair of platform sandals. Ones that can extend my legs like Lauren’s. Her Miu Miu Criss Cross Platforms are no longer made, but I found some remarkable cheaper styles that are similar in style but easier on the pockets. 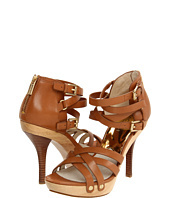 I have my eye on Lauren’s Cognac Platforms, but can’t seem to find it in my size. I guess I’ll just have to keep searching. Does anyone have any recommendations?